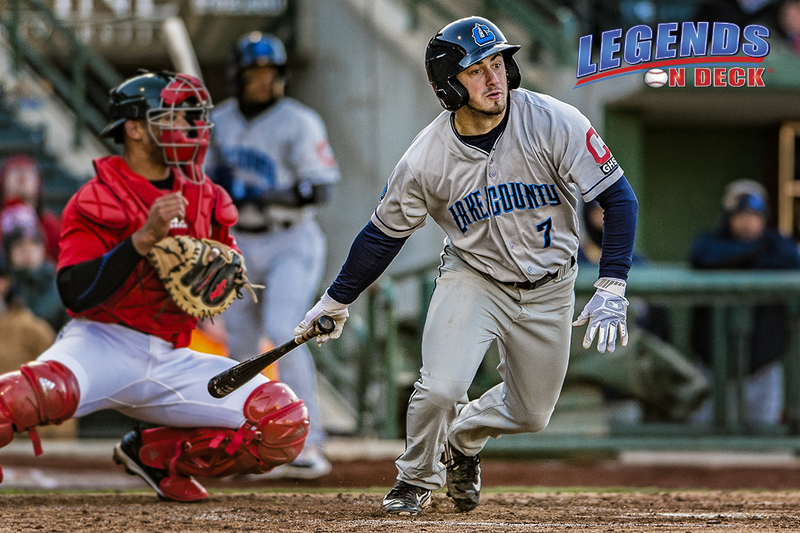 The Lake County Captains entered play on Tuesday in sixth place in the Midwest League’s Eastern Division and tied for 10th in the league overall. The sub .500 record hasn’t been due to a lack of offensive production. In fact, the Captains have had the third most runs cross the plate out of all 16 teams so far this season. Before diving into the pitching and defensive metrics to see what had led to the rough start for the Captains, I wanted to see what was going right at the plate. So, I decided to peruse some offensive leader boards and I found an awesome small sample size stat while doing so. This is by no means indicative of the kind of season the Captains are having, simply a random outlier stat I stumbled across, my favorite kind of stats to find. Tyler Friis is a 2017 21st round pick out of Indiana State. The 5’9 middle infielder plays very good defense and makes high, consistent contact as a switch hitter. When I say high contact, I mean HIGH contact. But we will get to that in a minute. For me, in the minors, BB% and K% are two very telling stats, among others obviously, and I love sorting myself a BB/K ratio leader board regardless of how many games into the season we are. That is exactly how I stumbled upon what Friis has been doing through nine games. The Washington native has a 6.00 BB/K ratio… meaning he has walked six times more than he has struck out. I know what you’re thinking, small sample size, and yes, we’ve already acknowledged that so you can save your comments. Naturally, I was curious to see just how much of an outlier this number was. The next closest ratio on this Midwest League leader board was 2.67, obviously also not sustainable, but still noteworthy. That was with the minimum criteria being 30 plate appearances. I dug a little deeper into the traditional stats and it turns Friis’ ratio is so high because he has struck out just one time to six walks. At first, I was disheartened and didn’t find the outlier as meaningful as I had before. That was until I realized that Friis was the only player in the entire league with at least 30 plate appearances that had only one strikeout on the season. Still not impressed? I don’t blame you if you aren’t, walks and strikeouts are boring to everyone I know except for me. Maybe this wasn’t the best topic for an article… Regardless, I want to leave you with this. Friis’ 6.00 BB/K ratio is the highest in all of Minor League baseball among players with a minimum of 30 PA’s by two full points. He is also one of only six players with the same criteria to strike out just once this season and none of those other players even come close to his BB/K ratio. What is even better is that Friis has the fewest hits among those six players, but the second highest OBP. There you go. 500 words about walks, strikeouts, and small sample sizes. Thanks for humoring me.